Birthday flowers from a sweet friend. Once upon a time, I was a shy, socially awkward, homeschooled girl with ZERO fashion sense. (Seriously, I think about what I wore back then and cringe.) After 10 years of homeschool, I "graduated" at age 17. But not with any kind of qualifications. I decided that I wanted to go to college, which meant that I had to get through high school. After an entire summer of chickening out, I finally "rebelled" against my mother by giving her a letter I wrote stating my intention to go to high school. She cried, I cried, and I finally called the school to register. They were unable to give me credit for anything I had already learned, so I had to start from the beginning. So I started school in September, two years older than all my classmates. I was still shy, still socially awkward, although my fashion sense was slowly starting to improve. I started to feel a little more comfortable at our church youth group too, despite still feeling like an outsider. Most of my friends were heading to college, while I was stuck in high school. That October, I decided to take part in a play that was being put on at our church: Heaven's Gates and Hell's Flames. I was cast as a gangster's girlfriend. My job was to flirt with three guys, inciting my gangster "boyfriend" to shoot them. I knew two of the guys, along with the gangster. All I knew about the other guy was that he was Brian's brother and his name was Kevin. My one line was “Hey fellas, lookin’ for a good time?” And then I had to scream and run away once the shooting started. Since I had no idea whatsoever how to flirt, the girl cast as the "Christian girl" gave me a few flirting lessons. They must have worked! At the conclusion of our scene each night, Kevin would come to sit in the same pew as me...not exactly with me, but several feet away. After Kevin was thrown into hell three nights in a row, he responded to the altar call and went to the front to begin his relationship with Jesus. When the play was over, Kevin began coming to church regularly. After services, he'd seek me out to talk. It was the first time any guy had ever shown interest in me that I know of. But I wasn't really aware that he was interested in me as more than a friend. Case in point: We both planned to attend the church Christmas banquet that year, and had bought tickets at the same table along with some other friends. Our church has family suppers on Wednesday nights before classes start. Kevin and I ate together one night in November, chatting about stuff and about the banquet. Kevin said something like "I can give you a ride to the banquet if you want." I declined, since I lived right across the street, and it would take two minutes to walk, even in heels. Then I went on my way while he finished his supper. A friend of ours sat down to talk to him, then came to find me. She said, "So I heard that Kevin asked you out!" "What? No he didn't!" I was completely clueless. So she filled me in that he was really trying to ask me out on a date with his awkward offer of a ride. I went back to sit with him, apologising for misunderstanding. I said I'd love to be his date. Now, our youth group was full of "I kissed Dating Goodbye" fever or something. They just didn't date. Apparently, all the boys wanted to, but all the girls wouldn't. So our date was a BIG DEAL. I'd never been teased so much in my life! I did end up walking to the banquet with my family--my mom insisted. She knew nothing about my date. She would not have approved. Kevin brought me a flower--a pink and cream carnation. All the girls oohed and awed. And someone took a picture. Despite the fawning and attention, we managed to have a great, though shy, time. I got home with my flower without my mom seeing it. About a week later, I got a letter from a guy at school who was interested in me. Good thing Kevin got me first! We went on several more dates over the next few weeks (the movie Castaway, and that notable date at Second Cup where I inhaled my white hot chocolate and coughed it all over the table.) before I told my mom about him. Then Kevin asked, "Since your mom now knows about me, can I call you my girlfriend?" 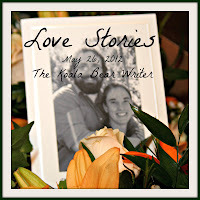 I'm linking up with Bonnie at The Koala Bear Writer. It's her 5th wedding anniversary! 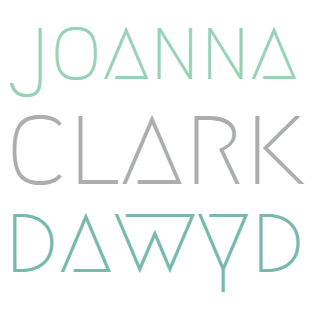 Joanna, you made me choke up. What a great story to share with your kids, too. So sweet! Love this story! I almost felt like I was reading a novel. Enjoyed it! So sweet, Joanna. To think you married your first boyfriend is awesome to me. And you wrote it so beautifully. The BEST is yet to come!!! Enjoy the ride!